Don’t you know that men generally gravitate towards the person(s) who extol their chivalry? Why do we complain that our husbands are ogling at our helps yet he sees her face lit up once he arrives home and yours is always calloused at his sight? In fact you open the door and get straight ahead to your stuff. You have spent the whole day texting him how he needs to man up, and you still expect him to serenade you? The moment he enters the door, you bombard him with a barrage of inquiries, criticism – the brother has been so beaten he can’t lift up his head. I can already see some of you saying that I am always against women. No am not. Am simply telling us the truth that we don’t like hearing. You have been tasked with a job of building your home and it’s just that. He has been tasked with the leadership, being the priest, giving direction and the balance is equal. No one is superior, God requires mutual submission, so get your “hands dirty” and build your home. This is to you sister who feels the constant need to nag him and cannot give a lap for him to rest his head. Do you know that when Saul and David returned from the battle with Philistines, it’s the women that danced with jubilation? 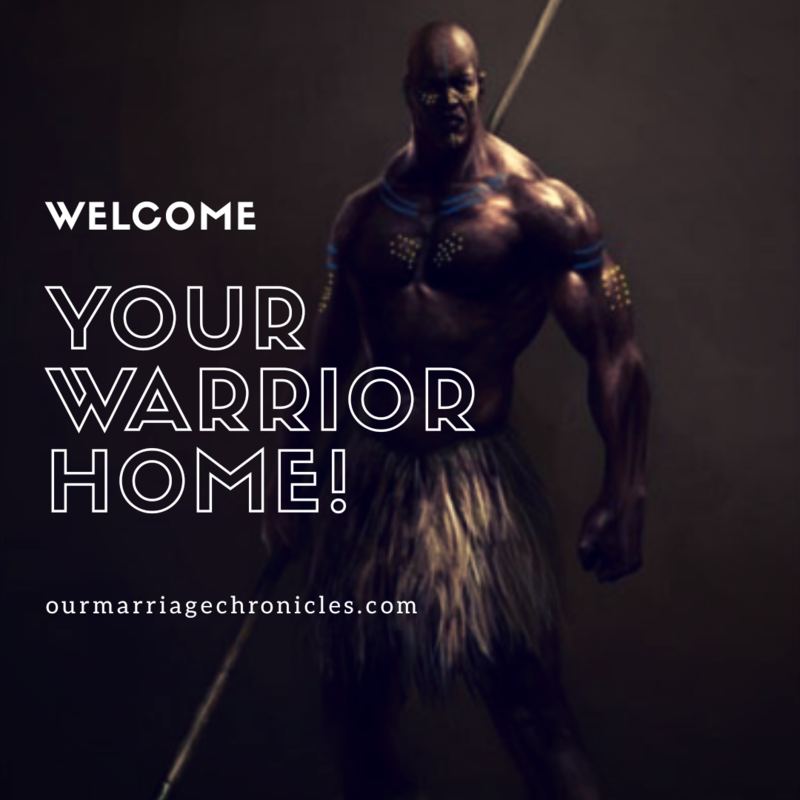 It’s biblical to dance and welcome your warrior home. It’s so biblical! Get your tutu skirt and get on the floor. Literally! Am so tired of the loopholes we give the devil to exploit our marriages then go angry to God. He has come back home, at least appreciate that. He has conquered the day, at least appreciate that! He has left work early enough, and ran home,at least appreciate that! Most men have a propensity to disappear because home isn’t as welcoming as they hope. A home for him, is a dangerous place to be in! We are like a leaking faucet. In turn, they compensate the need to belong in a bar, chatting the night away or in the arms of another lover. We have given that loophole to the devil and he’s happily exploiting it. He’s actually sitted and dining with us! We criticize Delilah so much but she too has a lesson or two to most ladies! She gave Samson a head rest after a very long day! She knew what it meant to him. Give your man a head rest. It was only after his head was on her laps, that she began inquiring about his (Samson’s) source of strength. Her charms rendered him vulnerable. He put his guards down and let out his innermost secret. The same lesson we can learn from Esther. She prepared a banquet, twice in a row, and when THE KINGS HEART WAS MERRY, he asked her what she wanted. He even went ahead to tell her that he will give her half his kingdom! Even the King’s consul, Haman, was no match for Esther’s wisdom. Some of you are Mrs. Contentious. You nag, you prod, you a bitter pill to swallow. Don’t you know that when he’s merry, he will buy you anything and give you the world? When he’s merry, he will get you the gift you force him to buy. When he’s merry, he will make each day a Valentine’s Day and double it up as your birthday! When he’s merry, you won’t need to keep reminding him that you need some dress you saw. When he’s merry, his eyes will only be fixated on you. You won’t need to keep following up on who texted him and why. People will say, “you control him”, but the brother won’t care less what the world thinks. He’s loved and he feels so! How many of you make your husband’s a priority? How many of you deliberately decide to make your husband’s merry? When was the last time you left the food simmering and ran to the sitting room to hug and kiss your husband? When did you randomly take a selfie and sent it to him with a loving message? When was the last time he found you looking all made up for him? When did you last praise him in front of everyone? When did you last put the kids to sleep early enough to spend 20 minutes with him? When did you last encourage him? Make your warrior merry, let him find rest on your laps. You will tell me there are kids around, but I will tell you there’s always something you can do! Kids aren’t an excuse, you are the excuse! Get the door. Let him see your face first. Please don’t send the help and you are a step away! Ohh run from the bathroom once you hear that doorbell. Yes open it up with soap all over your face! Hug him with that soapy face! Yes, at times you could be attending to the baby, but make it your goal to get the door! 2.Greet him with an awesome smile. Sister! Watch your words hun! Remove his coat, put his backpack, briefcase, laptop bag or whatever away. Embrace him and tell him that you are happy to see him. Sit down for 5 minutes with your warrior! Just let him talk for 5 minutes only! You will still cook! Ask him what he will take, juice, tea, coffee, let him unwind. Then later, he can ask how you are and you can now bring in your requests! 4. Now, can he have his lap please. In my year 1 of marriage, one thing we would always conflict on is this. Would get everything right until I get to the kitchen. My assumption, I needed to prepare him food because that’s what he needs! Until I realized this, sometimes, he just needs me. His lover, his bride, his woman, me, his bae. Not me, as a mother to his baby, not the business lady, not the career woman, not the worshipper, not the keeper of my home, not all those. He needed me. To sit there and listen to him. So let him offload on you, let him know he has rest at home. That said, am off to welcome my warrior home! Previous PostA PRAYER FOR RECONCILIATION. And God has equipped us to do so. It’s not by our strength or might but by the Spirit of the Lord! Keep being blessed!